On the heels of announcing her separation from husband Offset, Cardi has shocked the internet by posting a photo of her daughter Kulture. Does separating from Offset have anything to do with the big photographic reveal? The couple had been pretty adamant about not posting pictures of Kulture until they were ready. 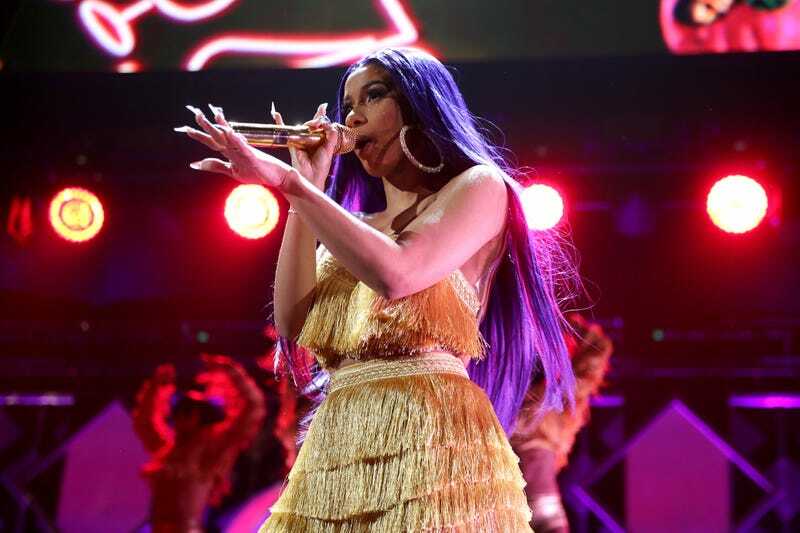 When Cardi walked onto the stage at the 2018 MTV Video Music Awards carrying a Moon Man statue in a bundle that was meant to make people think she was carrying her then five-week-old daughter, she said on Twitter that Offset got really “mad” because he thought she was revealing their baby to the public. “Why Set said i was sooo mad, when i saw you on stage with that blanket I thought you was going to show Kulture,” she wrote. Whatever made Cardi decide to share little Kulture with us, we are glad she did. That is a beautiful baby, and I’m not just saying that because I stan for Cardi. She’s gorgeous. As far as the split with Offset goes, they are both very young, and there is a chance they could still end up back together. We all have gone through that breakup to make up thing a time or two. I don’t know why, but that idea is kinda lit if you think about it. Go on Instagram in case Cardi posts more pictures of the baby. Here is a screenshot just in case she deletes.